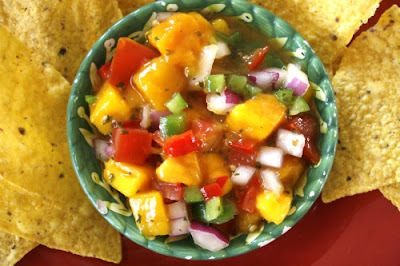 I don't have any photos to do this salsa justice. I made it several weeks ago and took quick photos, then lost my best one (and forgot to take more photos the next two times I made it). But I can tell you it is SO. Incredibly. Good. It tastes great with chips, but it tastes amazing with cheese quesadillas (we at them too fast to get photos). Add some spinach in those simple quesadillas and you have a quick meal that will make your mouth sing. Next time, I'm adding some shrimp to the cheese and spinach. 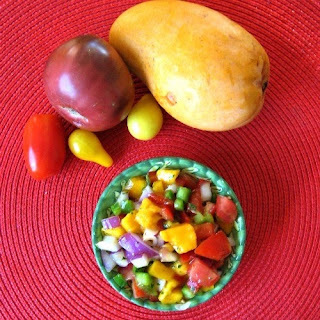 I slightly adapted this recipe from a card that came with my Harry & David fruit-of-the-month club one year with our honey mangoes. 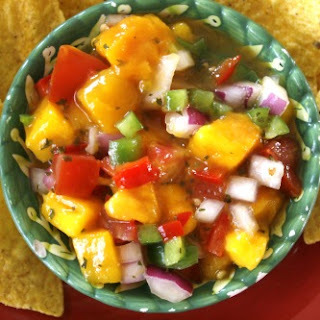 I've made this with honey mangoes, and with regular mangoes from the store. It's ridiculously easy. Combine all ingredients, drizzle with lime and lemon juice. Combine, then salt to taste. Refrigerate overnight or several hours at the very minimum. It's pretty exciting for a child of any age to get the opportunity to help out in the kitchen, and it's exciting for everyone when that child comes up with a recipe all on her own and it comes out with huge success and everyone is more than delighted to eat every last crumb. That's what happened for my 8-year-old this morning. She wanted to make muffins, but not just any muffins. "Raisin Oatmeal" muffins - all from her own recipe creation. 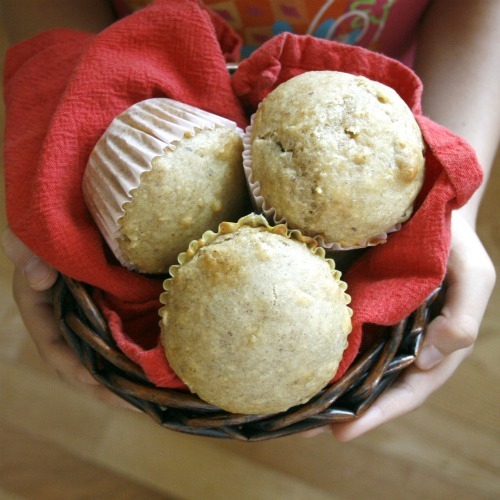 She pretty much knew exactly what ingredients she wanted in these muffins and for the most part she knew the exact measurements of each ingredient. 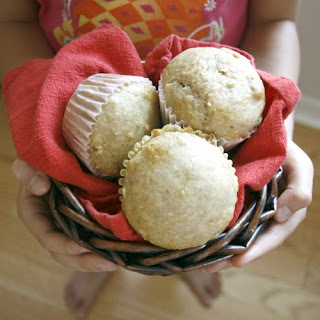 With very little help on a couple of ingredients and their proportions, Miss C's raisin oatmeal muffins came out perfect and delicious. 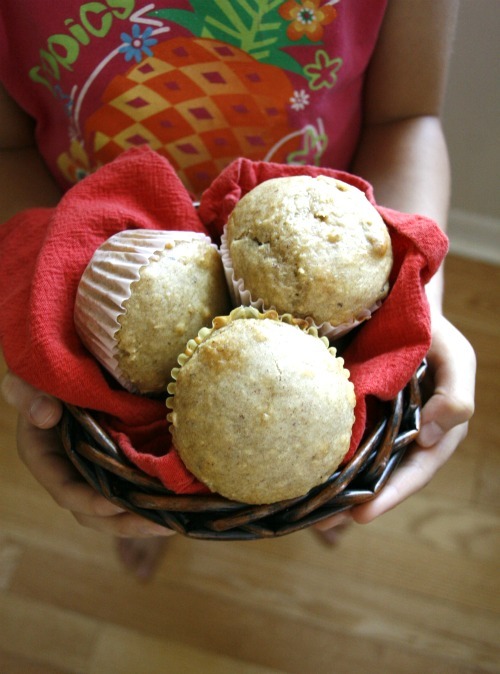 I hadn't even used oatmeal in gluten-free muffins yet, so it was a trial all the way around - and one I'm glad my daughter insisted on. As my mother, who is visiting at the moment, stated while she ate a muffin with her tea, "These are perfect dunking muffins!" Preheat oven to 350 degrees. Line muffin tin with baking cups. 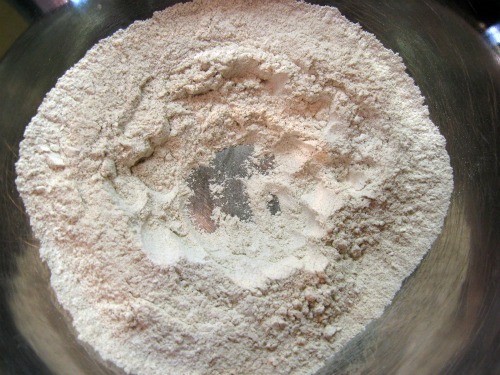 Mix dry ingredients together and then add liquid. Fold in raisins. 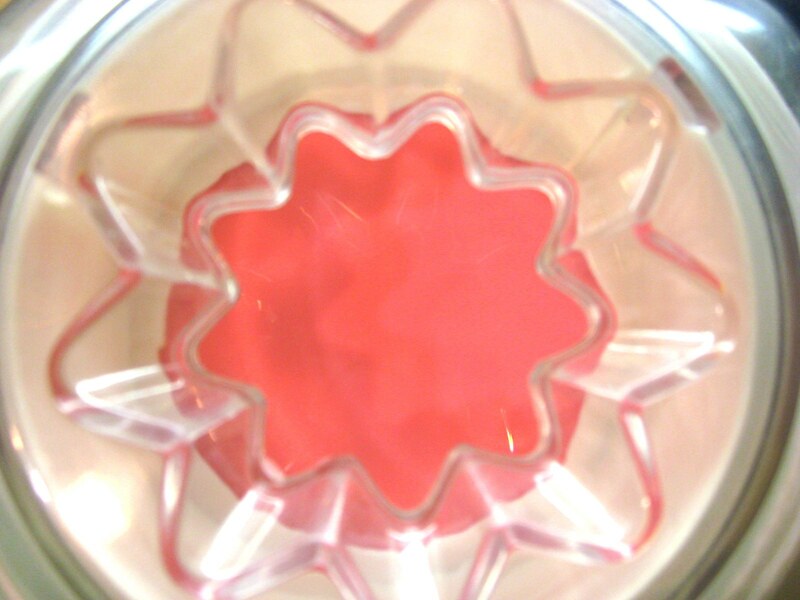 Hold bowl for little sister while she stirs the ingredients together. Bake for about 16-18 minutes. Muffins are done when they spring back when touched, and a toothpick inserted in center comes out clean. Eat them warm or at room temperature, but they are really good warm! Sometimes you just need something that you can zap in a microwave really quick that still tastes good and you can feel pretty good about eating. 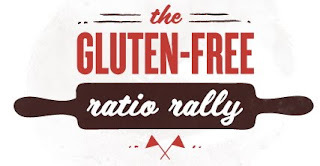 This can be hard sometimes in the gluten-free world. You're at the office and can't really take a lunch break but you aren't able (thankfully!) to pick up anything at the nearby fast-food restaurant, but you have one of these at home a few blocks away - or better yet, you put one in the office freezer that morning, knowing you'd have a busy day. Or you've got a million and one things to do at home and have to leave in 10 minutes. I've found the Glutenfreeda's frozen burritos to be a bit of a lifesaver at times. The vegetarian bean and cheese is my favorite - filled with beans, cheese and vegetables. I really think it's quite delicious when you're hungry and can't cook. (My husband really likes the chicken one.) I use them in our little oven when we take long road trips, too. Nothing like a hot meal in the middle of nowhere when you've been driving for hours! They usually don't hold up too well and I recommend eating them with a fork, but if you like them as much as I do, you won't mind. Fresh, homemade pasta is always a treat. It seems to taste even better not only because it is, but because you know that someone worked harder to make it for you. 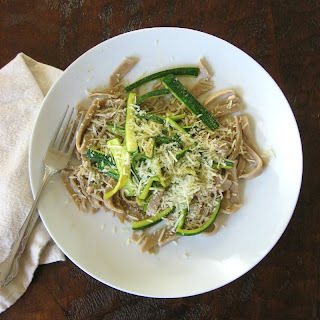 I've always been impressed with homemade pasta, and was excited - and at the same time a little intimidated - by this month's Gluten-Free Ratio Rally challenge of homemade pasta. 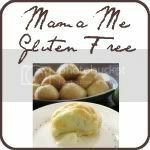 Jenn over at Jenn Cuisine is the host for our rally posts this month, so be sure to check out her rally post where she also lists the links to the recipes all the other food bloggers participating this month have posted. There are some really amazing dishes that you don't want to miss out on, including Jenn's tagliatelle with smoked salmon. Oh yum! If you are interested in why I'm involved in this rally each month and what it's all about, check out my first rally post of peach poppy seed bread, where I explain my excitement and reasons for getting involved. 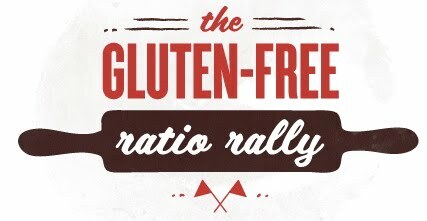 I'm learning a lot and encourage you to give ratio baking a try - it gives you the freedom to make a reality nearly any food idea you have in your head. I have a list of the rally posts in their own category in the index. I was in for some serious work with the homemade pasta challenge. 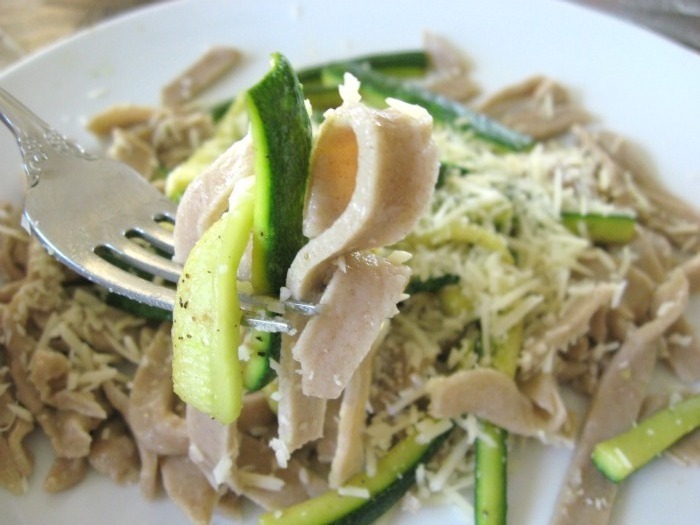 Prior to a few weeks ago, I'd never attempted homemade pasta even with gluten. I'd always wanted to, but never did. And now I was going to make it gluten-free having no firsthand experience with the way it was "supposed" to be done. I still have a long way to go before any kind of perfection, but I can safely say that I eventually turned out a great-tasting pasta with a good texture that didn't fall apart during or after cooking and didn't get mushy. The entire family agreed it was good stuff. 1. If you don't have a pasta roller, you can forget about your workout that day because you'll get a good one rolling your pasta. You see, without a pasta roller I just couldn't get the pasta rolled quite thin enough to suit me. 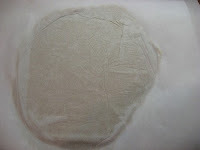 So you'll notice it's a little thick - though not nearly as thick as the first trial! I ultimately got the best luck rolling it between parchment paper, but it still didn't get as thin as I wanted it. It worked, though, and was definitely edible. You may also notice that some of the pieces aren't very long. I got careless a few times during my rolling and let the paper bunch up a little and crease. 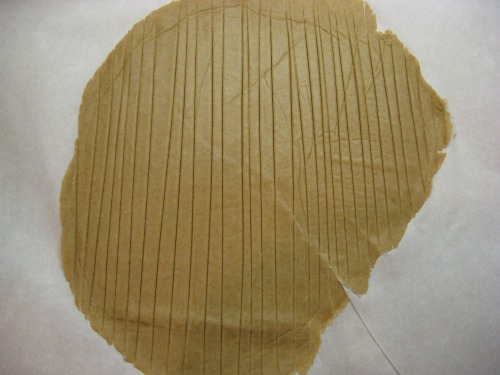 When I tried to peel the pasta off the paper, sometimes it broke along the creased areas. Also, the dough wasn't rolled out in an even length, so I had some short sides. 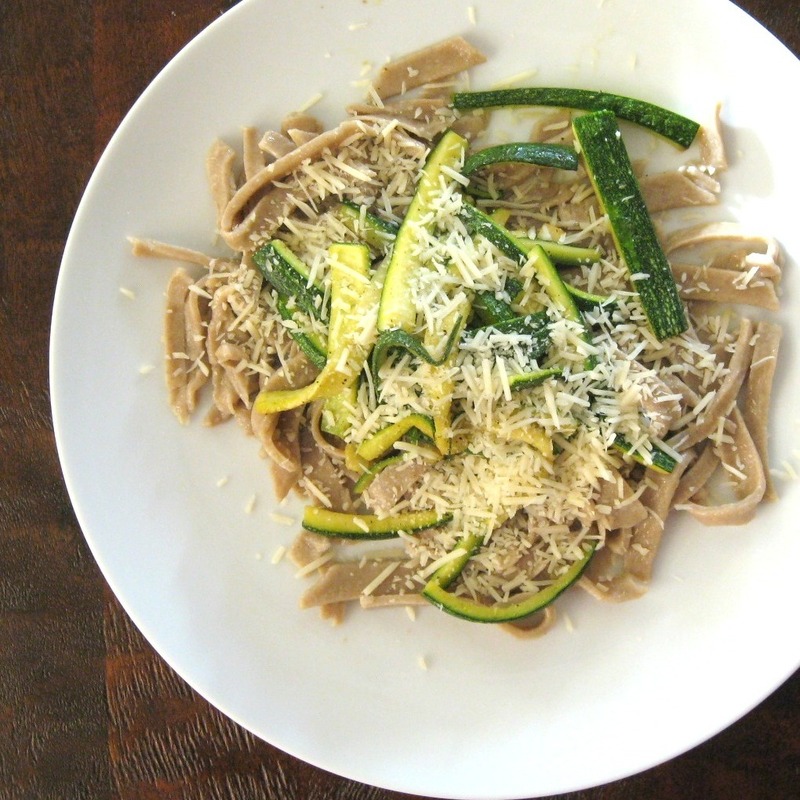 I called this "fettuccine" but in reality some of the noodles are much wider and some much more narrow than that. (I need a pasta cutter, too!) I cut the noodles using a smaller pizza wheel, but I never have been good at straight lines. I honestly don't think I could draw one if I had a million bucks at stake. Bottom line is, it's pasta. You can cut it/shape it any way you choose. I thought about attempting a ravioli, but I decided I just wanted this to be simple. I needed this to be simple. And I wanted to get the true taste of the pasta, so I served it in a simple way without sauce. There will be plenty of time in the future for me to play around with more homemade pasta creations - starting with some of the recipes from my fellow rally bloggers. After I get a roller. I used Michael Ruhlman's pasta dough ratio of 3 parts flour: 2 parts egg for this recipe (9 ounces flour: 6 ounces egg). I'm not even going to attempt giving you a projected prep time for this because it's going to entirely depend on whether you have a pasta roller or are using a rolling pin, how familiar you are with making pasta and whether you have kids running through your kitchen, among other things. 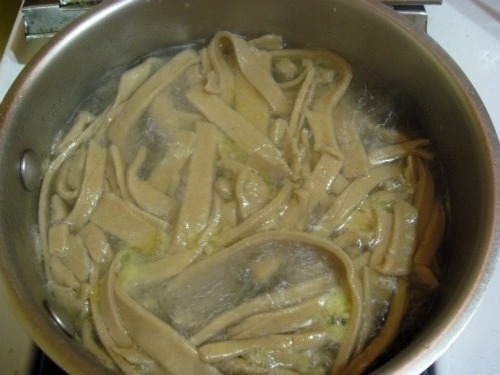 The cook time will also vary according to how thin you are able to roll your pasta, so I'll only give an estimate. Sift flours together in large bowl and make a well in the center. 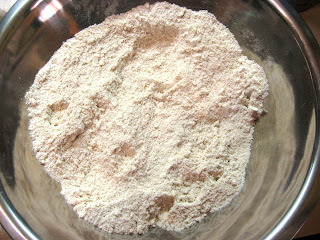 Add oil, water and eggs into the well and begin to incorporate the liquids into the flour. 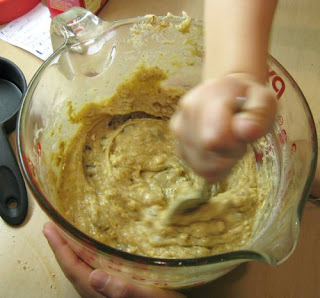 I used my stand mixer with the dough hook for most of this, but Ruhlman suggests using your fingers to do all the mixing. 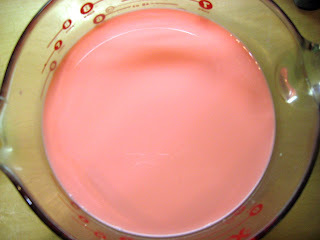 I did end up using my fingers and hands after most of the liquid was absorbed. 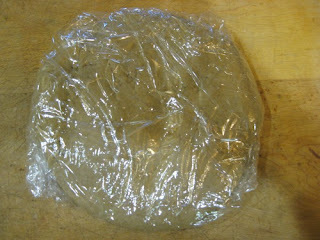 When the dough is at a good consistency, make a disk out of it, wrap it in plastic wrap and let it sit for about 15 minutes. Cut into 4 equal pieces and roll dough out between two sheets of parchment paper or in a pasta roller as thin as you'd like it. 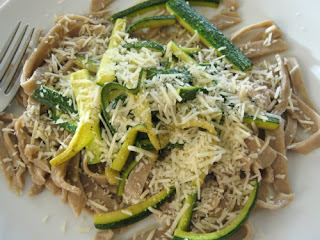 Cut using a pastry cutter or small pizza wheel, or pasta machine. Have ready a large pot of well-salted boiling water with some olive oil in it, and place pasta into boiling water. Cook until al dente or as tender as you'd like it. My cooking time varied between about 4 minutes to 9 minutes, and all of the pasta held up well. Drain pasta when finished cooking and then toss with a little olive oil. Top with whatever you desire. 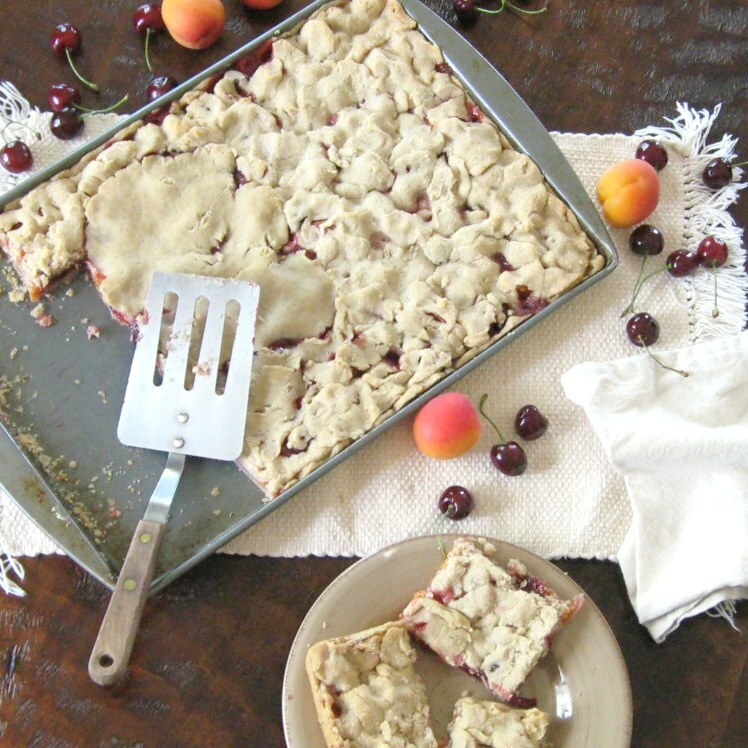 Summer is a great time for pie - fresh fruit pies and cool cream pies. 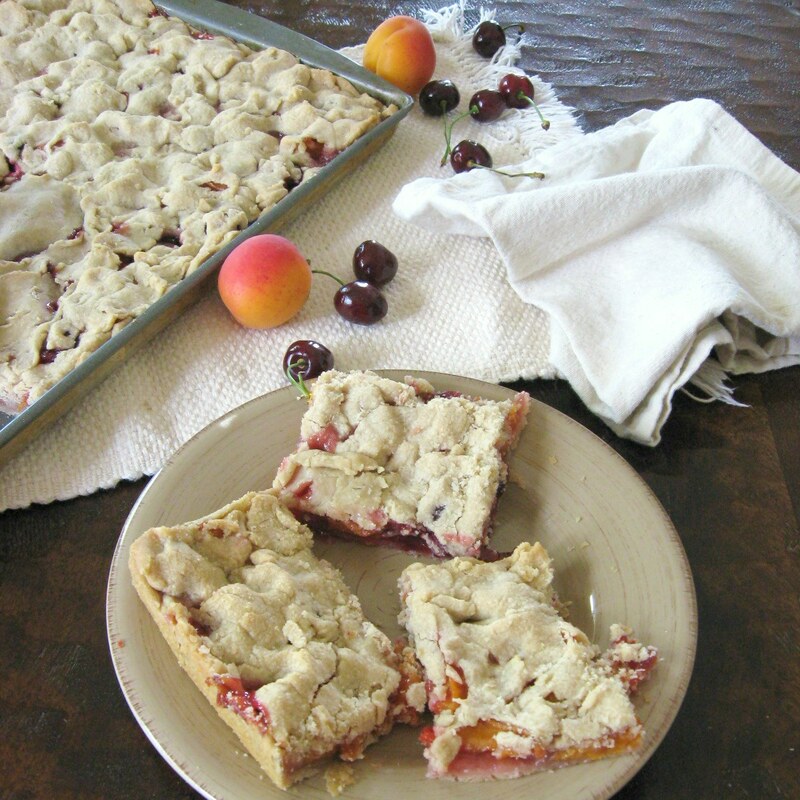 Since we've been gluten-free, I haven't really made too many of these great summer pies. I've made plenty of "cold weather" pies like pecan, pumpkin and apple, but had kind of forgotten about making pie for my family for no other reason than "just because" on a lazy warm afternoon. Until now. 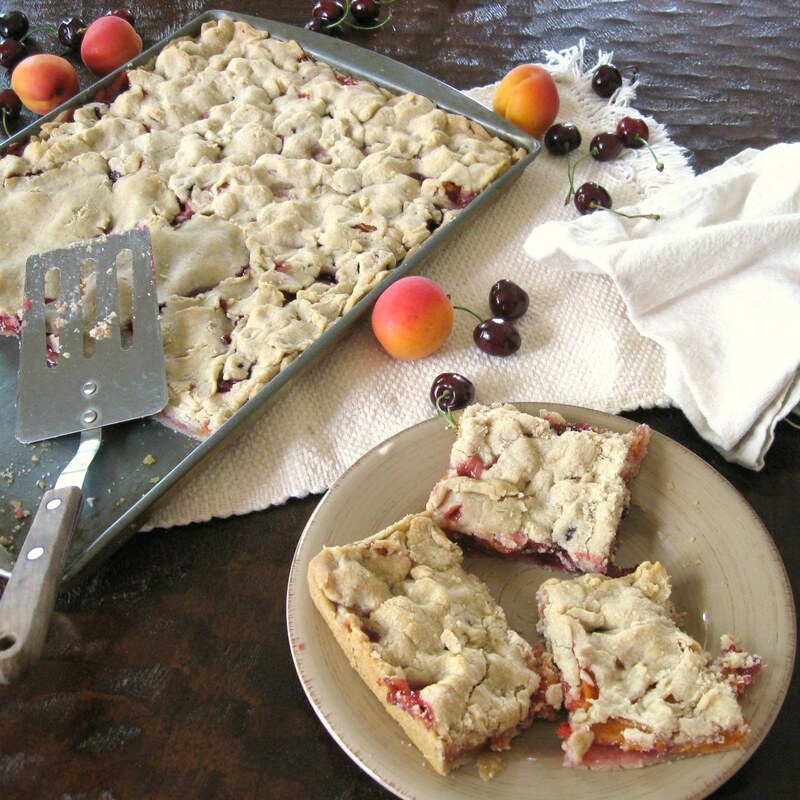 People from all over are sharing photos and recipes of pie for a virtual pie party today. Shauna James Ahern from Gluten Free Girl and the Chef is hosting the event over on facebook and wrote this inspirational post last week about making, and eating, pie. After I read Shauna's post, I decided I needed to participate and make a pie, too. I didn't want to miss out on the party! I love making slab pies because they are huge and serve many people, so they are great for parties and gatherings - great for the Fourth of July. You can cut it up any way you want, and you can even *kind of* eat it with your fingers if you so desire. 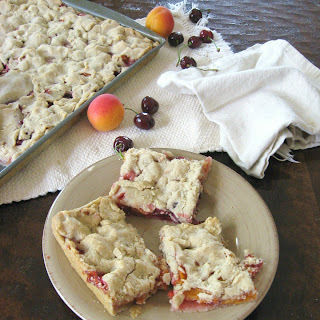 I made my first slab pie many years ago when I saw the recipe for an apricot-cherry slab pie in an issue of Better Homes and Gardens magazine. 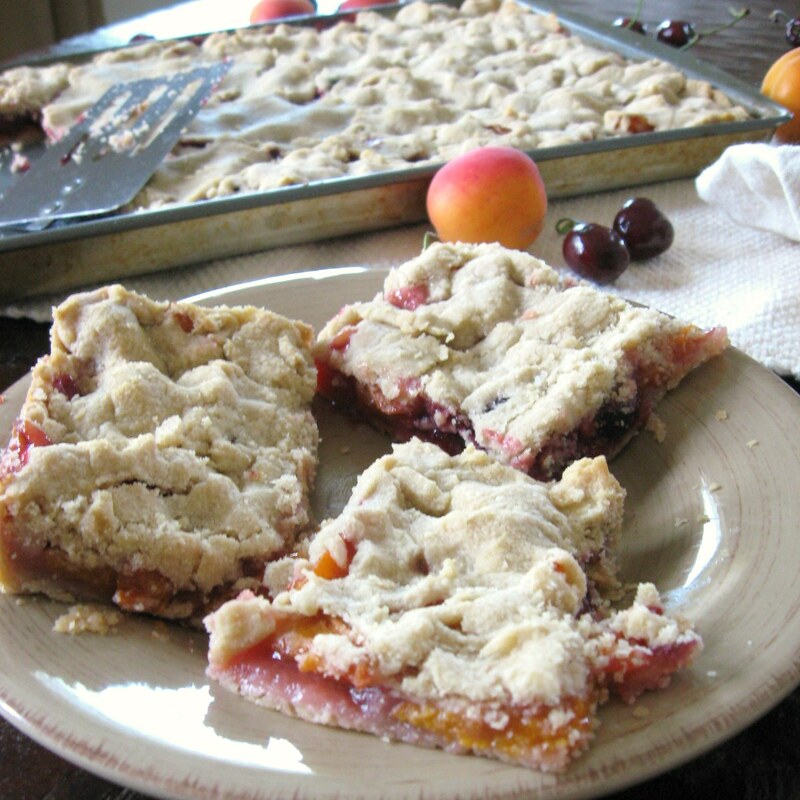 They have since published the recipe in their Our Best Recipes cookbook. It's one of those pies that is great warm, especially with some vanilla ice cream on top, but (in my opinion) tastes even better the next day. It's an informal pie, and tastes perfectly delicious. I've changed this recipe almost completely. 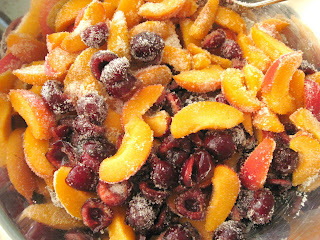 Aside from making the crust gluten-free, the original recipe calls for canned fruit but there were such lovely fresh cherries and apricots in the store the other day, I couldn't pass up the opportunity to use fresh fruit. Making a pie should not be frustrating. I repeat: It should not be frustrating. You need to enjoy it. Keep it simple. Put love into it. Don't let it intimidate you - the crust doesn't have to be hard. 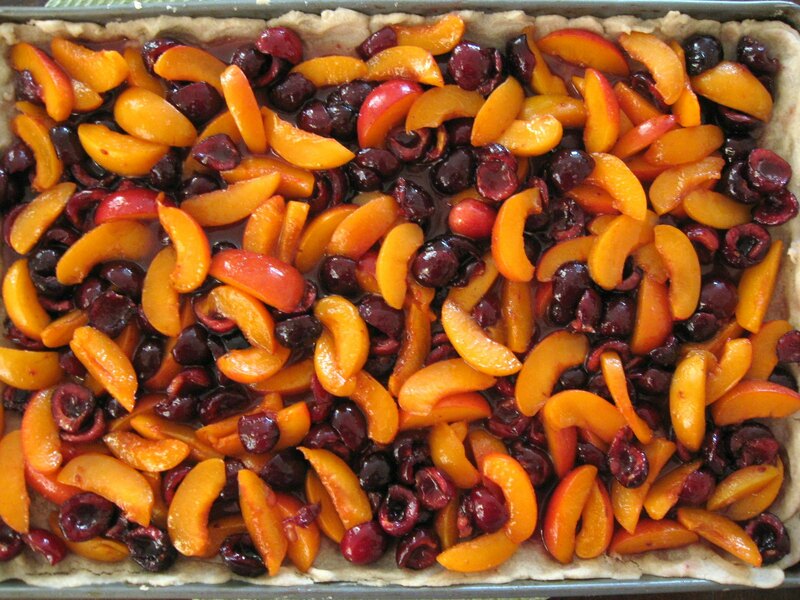 As Shauna says in her pie party post, use a mix or buy a frozen crust, whatever you choose, just make the pie. I started out with the flour, choosing the blend I thought would taste best, and went on to cutting in the butter ... 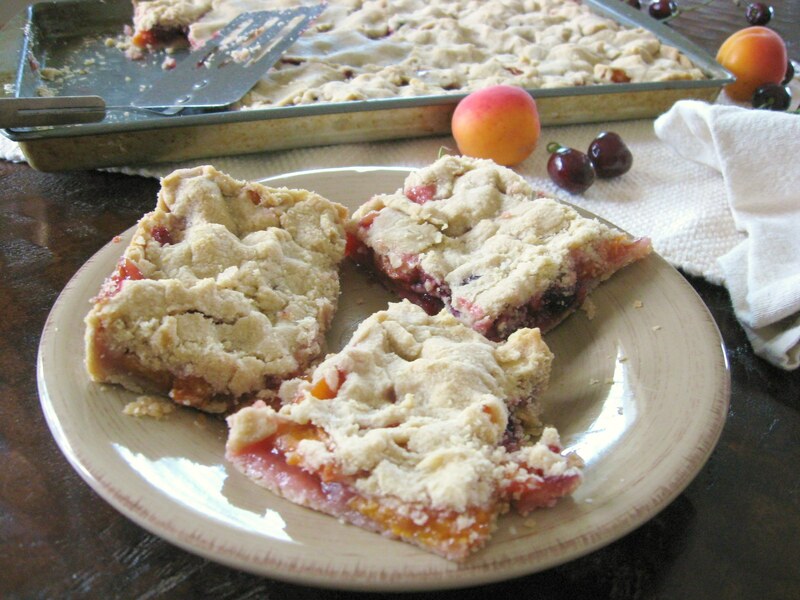 When we ate gluten, I made the best pie crusts. They were buttery, flaky, delicious. 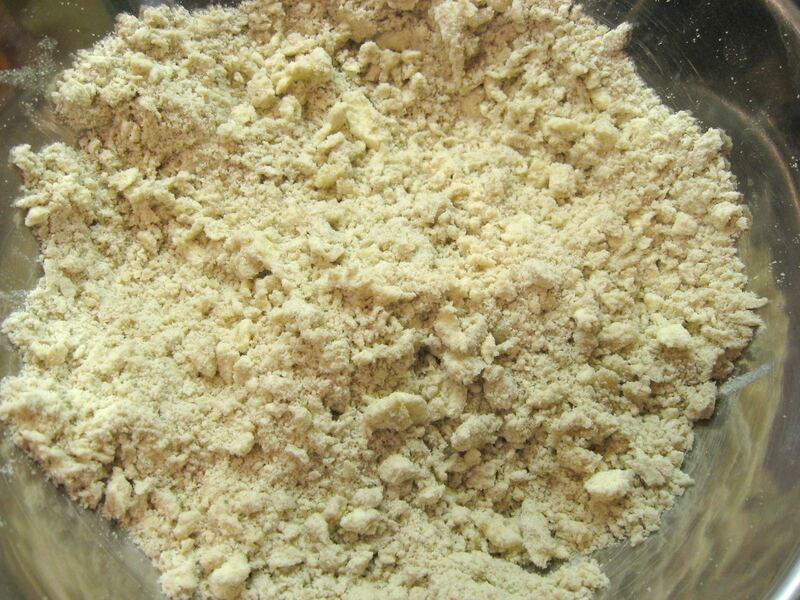 Some flour, some butter, some water, cut it, mix it, roll it. Good crust. This crust, however, is a little different. This crust uses some egg and some milk. And in my distractions while making the crust, I got careless and didn't use my head. I forgot that I was working with gluten-free grains and followed the liquid proportion exactly as written rather than adding just enough. The pie crust dough couldn't be rolled. (And at this point I'm kicking myself for not taking a photo of it so you can see what I'm talking about, but I didn't think I was going to use it.) A gushy mess. I tried adding more starch and flour, to no avail. I wanted to cry. All that flour and butter, gone to waste. If I used it, I could probably make a good cobbler out of it. I was quite irritated with myself for being so careless ... and I was forgetting to have fun in the process. Many deep breaths and an hour or so later, I decided those ingredients would not go to waste. I had put the mess in the refrigerator and pulled it back out. I took a little in my hands and pressed it thin. It was a dough, that might even work for a pie. I just wouldn't be able to roll it. 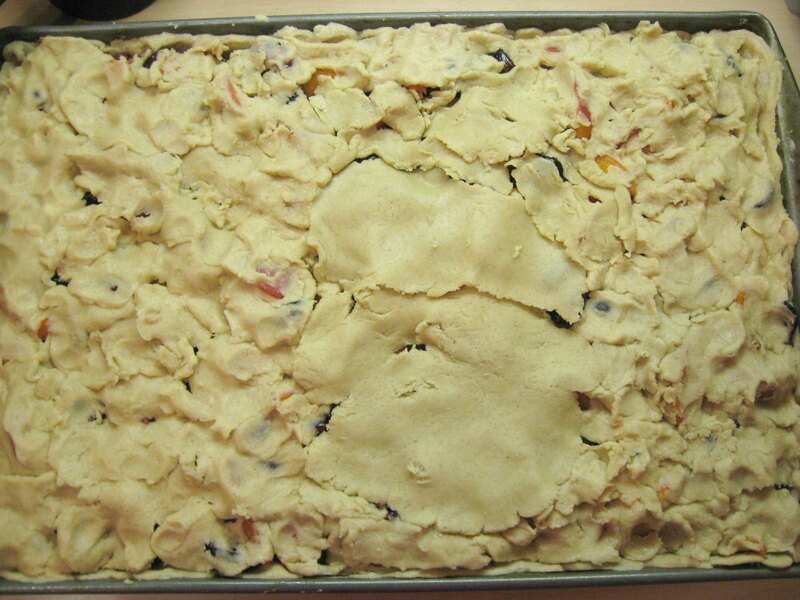 So, I pressed the dough into the pan, filled it and then had to flatten small pieces at a time and lay them on top of the fruit. (See the photos? It's pretty obvious!) Because I couldn't roll the dough, I also ran out for a large section in the middle of the pie (I had decided to lay pieces from both ends and work inward). 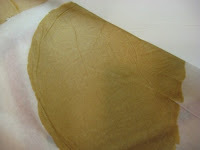 See the large section that is smoother than the rest? That's it - I quickly grabbed some Pamela's bread mix and flour blend, poured some in a bowl, literally pinched off a bit of butter from a stick in the fridge, cut it in and then added a tad of water and made a dough - that I could roll - for the remaining gap. So no, it's not the prettiest pie in the party. But it's good. It's really good. And the crust still worked out well in the taste and texture departments. You see, keep it simple. Keep it fun. If it tastes good, that's all anyone cares about. I'm not giving a projected prep time for this recipe, due to my mess described above. And I'm going to give you the crust recipe, with less liquid, because it's a really good crust for this pie. 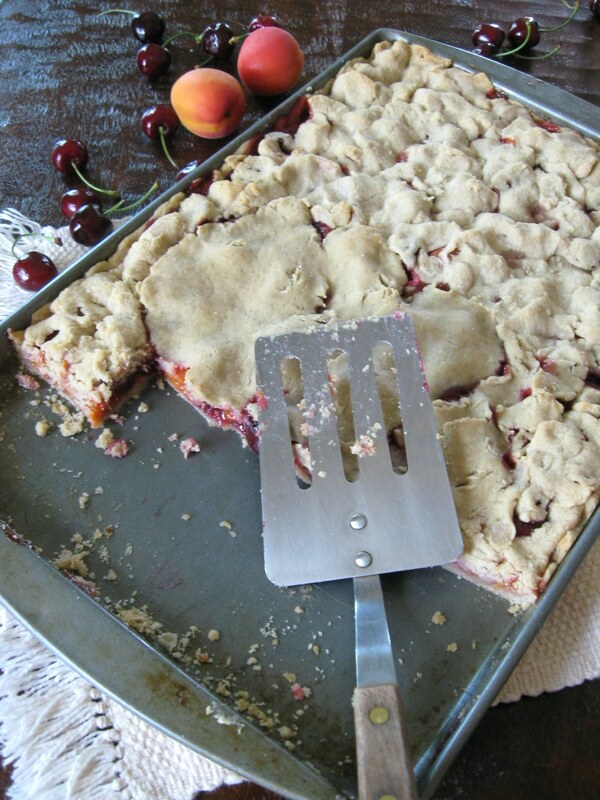 But use whatever crust you are comfortable with for this pie, or any pie. Keep the joy in it! 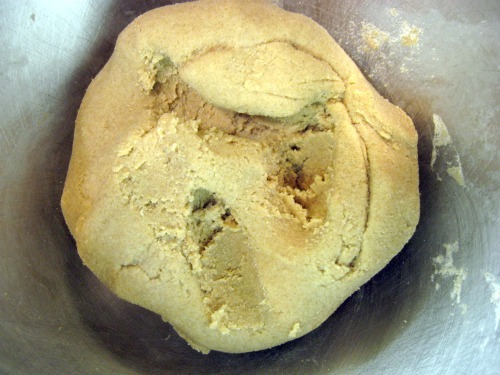 Cut butter into flour using a pastry cutter, or a food processor with large capacity. Mix cut fruit together with sugar and tapioca starch in a large bowl. Take about 2/3 of the dough and roll it out to fit over edges of a 15x10x1-inch baking pan (jelly roll pan or cookie sheet with higher sides) and pat it into place. (Remember my dough wasn't the way it was supposed to be, so it's probably going to look different than yours.) Because my dough wasn't the consistency I wanted, I baked it for five minutes at this point before putting the fruit on top of it. 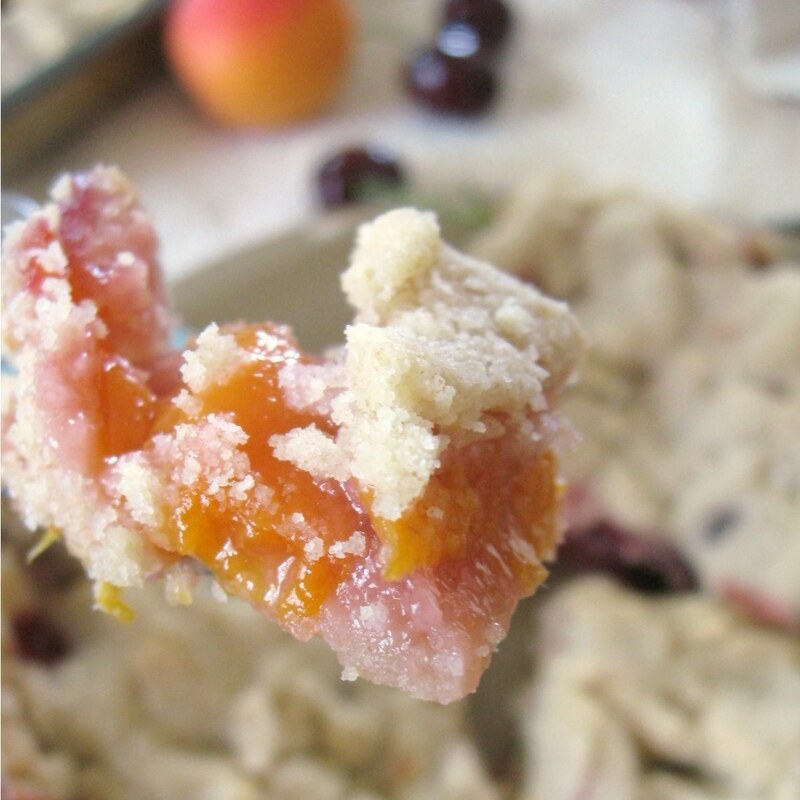 Roll out remaining dough and place it over fruit. 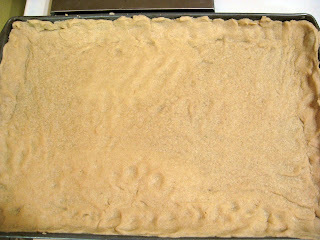 Bring bottom crust over top crust and pinch edges together. Prick surface all over with a fork. Again, because my dough was different, I was piecing it together and had plenty of holes already, so didn't need to prick it with a fork. Not the prettiest, as explained above. But it's the taste that matters! Bake at 375 degrees for about 50 minutes to an hour. Cool in pan on a wire rack. It's equally good served warm, room temperature or cold. 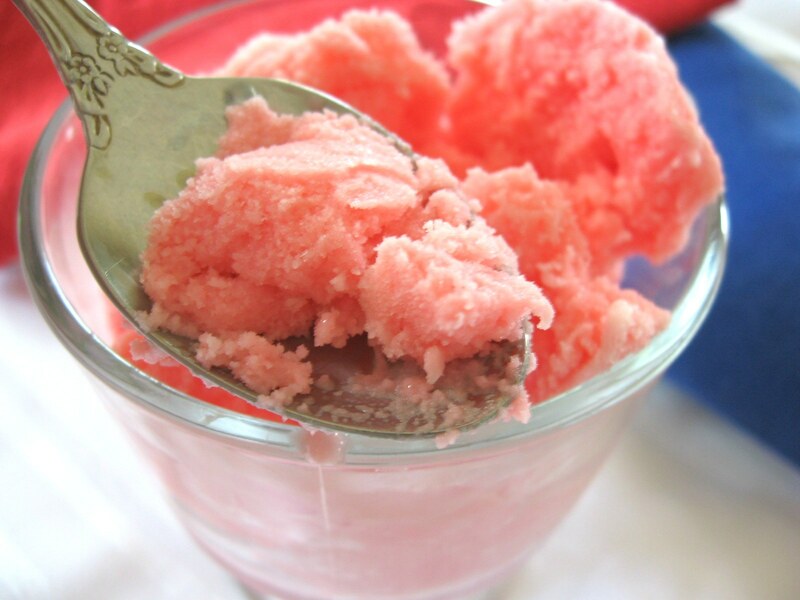 It's the just-right amount of sweetness and tartness. If you want it sweeter, serve it warm with a scoop of vanilla ice cream. Don't forget to check out all the other pies baked for the pie party today! 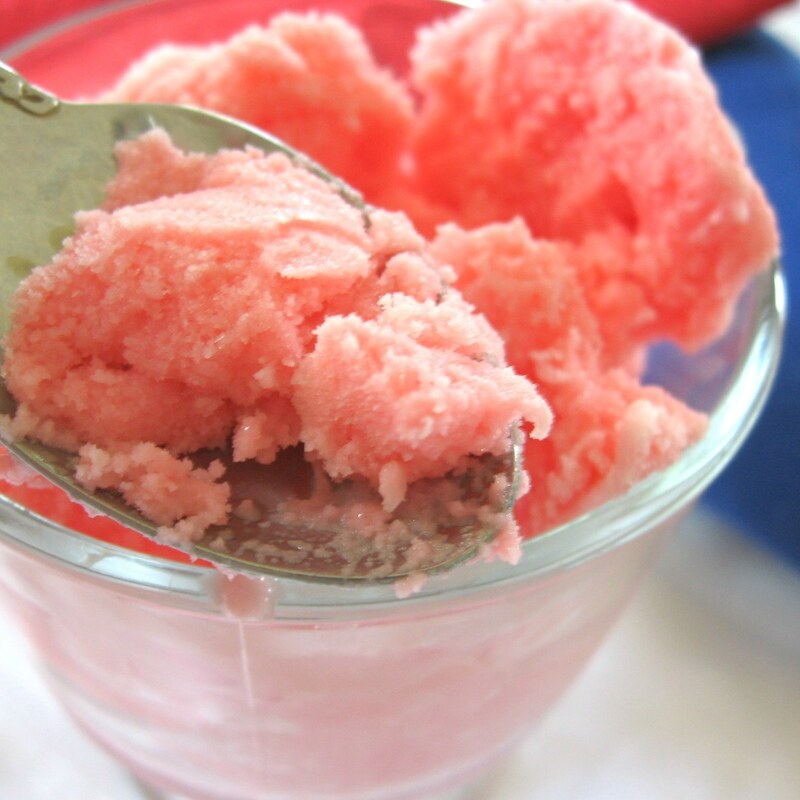 Making homemade ice cream is almost a necessary summer project. 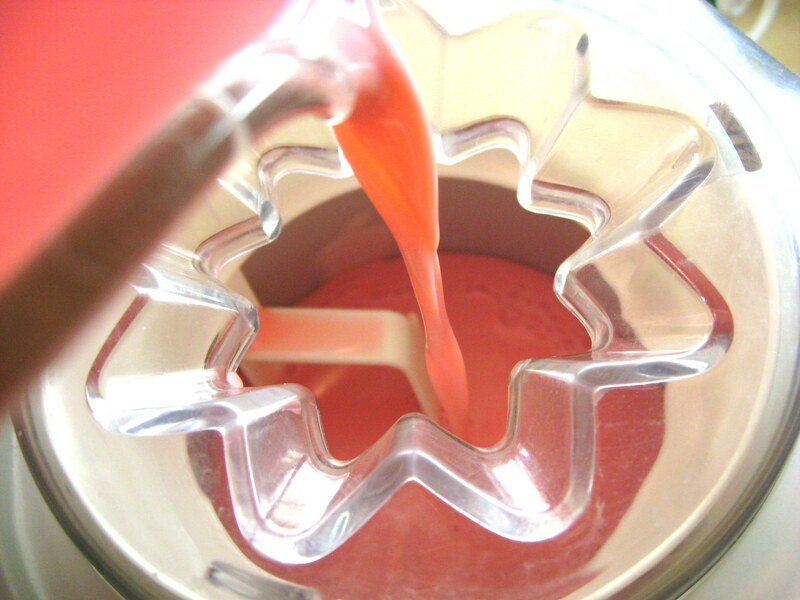 Hot days, cool treats. Mixing the ingredients and being forced to wait while the ice cream churns seems to make it taste even better when you finally get to eat it. 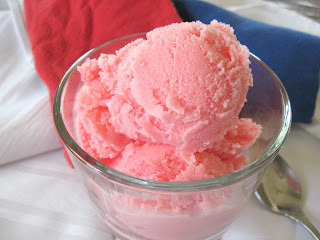 One of the things I love about making homemade ice cream is I can make any flavor I want, with any ingredients I want. 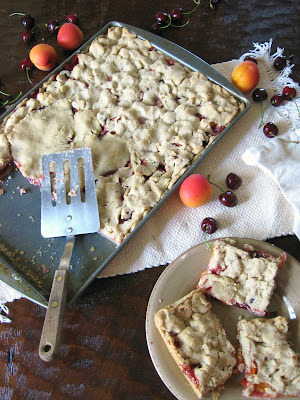 I can make it as creamy as I want, or I can make it lactose-free, dairy-free, egg-free, whatever to my heart's desire. And always gluten-free. I first tasted Big Red soda as a child while vacationing in Kentucky. My mom had worked in Kentucky one summer on a horse farm as a teenager and apparently drank Big Red a lot during her time there. She talked about the sweet beverage in a way that would make my little mouth water. When I got to taste the stuff, I wasn't disappointed. What was the flavor? 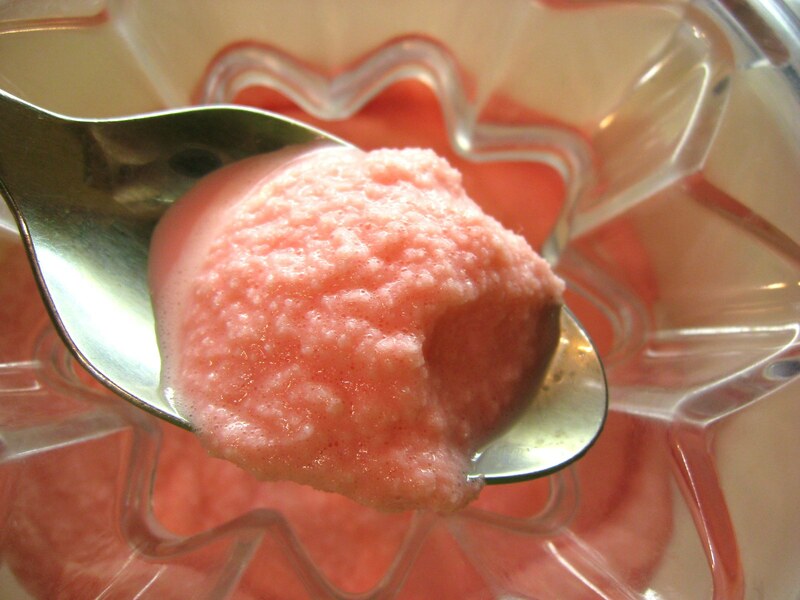 A hint of strawberry in a touch of cream soda? Hard to tell. Fast forward a few more years, to my first taste of Big Red ice cream when my mom made it several years ago. A friend had made it for her and then told her there were only three simple ingredients in the incredible concoction. Pure heaven. What did it taste like? Almost exactly like a nectar sno ball from Zeke's stand in Plaquemine, Louisiana - a place we stopped by often when I was a young child. It's a little off the beaten path, but if you happen to be in the area during the summer, you need to stop by the little rainbow-striped stand (at least it was rainbow-striped the last time I was there - don't know if it is still) and get one of the best sno balls (snow cones) in the world. Nectar sno balls. Incredible. 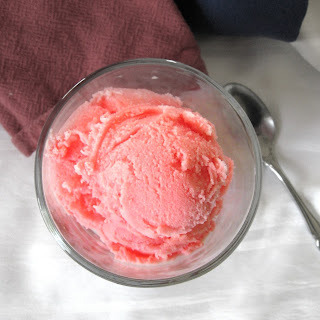 So, make ice cream this holiday. And don't forget why we celebrate Independence Day. Don't be one of those people who sits at the parade waiting for the candy and not acknowledging the reasons behind this holiday, ignoring those veterans as they pass by on a float with our flag, looking down the road for the next treat to be thrown. Celebrate your freedoms with family and friends, give your children a little history lesson, be thankful for your blessings and remember our country's leaders and military in your prayers. Pour into maker according to instruction manual (Some makers like the Cuisinart call for you to turn the machine on before pouring the ingredients.) You may have some liquid left over that won't fit in your maker depending on the size. Mix according to instructions for your maker, 35 to 50 minutes for Cuisinart. 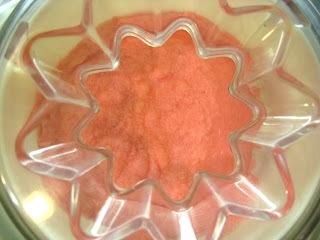 When frozen, transfer to an airtight container and place in freezer until firm. Or you could pour into a glass at this point and serve with a straw like a milkshake. 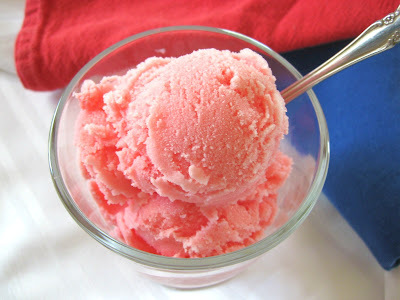 It's not the creamiest ice cream when it's firm, but it's sooo good. Looking for other ice cream flavors? Try some of these -- they look wonderful!